"Check out my baby Chi Chi. She is 4 years old. I got her last year from the humane society down here in Charlotte NC. 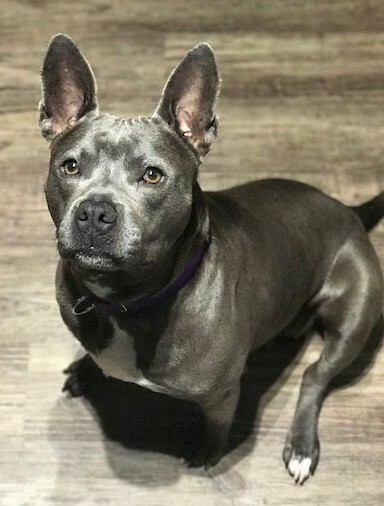 Her papers just say blue nose Pit Bull mix. 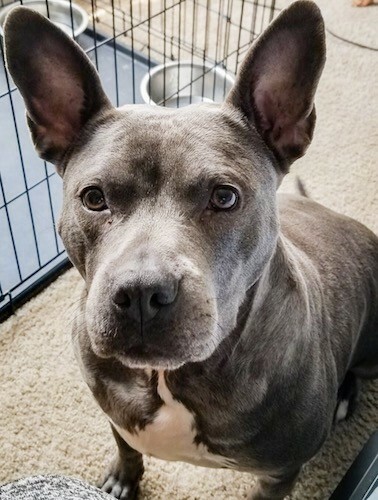 She’s stocky like a bully pit, but she is not as short as them. 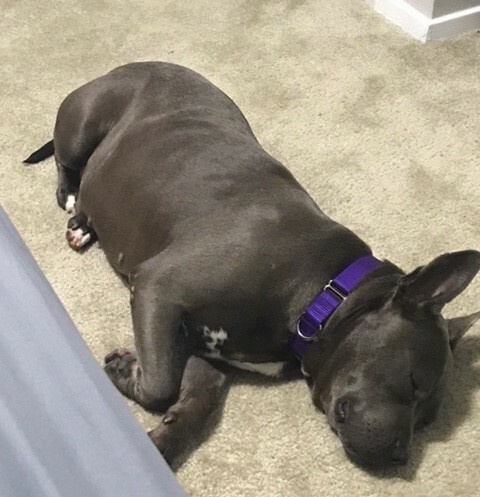 She reminds me of your Mia the American Bully!" 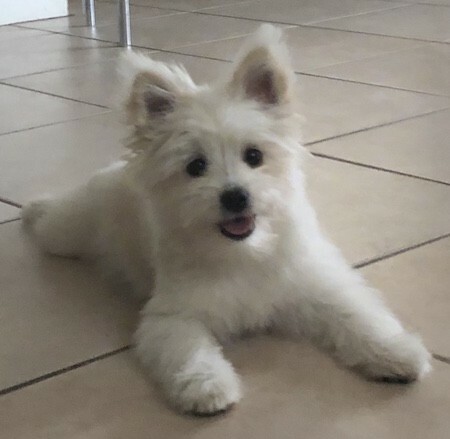 "This is my Pomeranian / Maltese / Poodle mix named Coco at 8 months old." 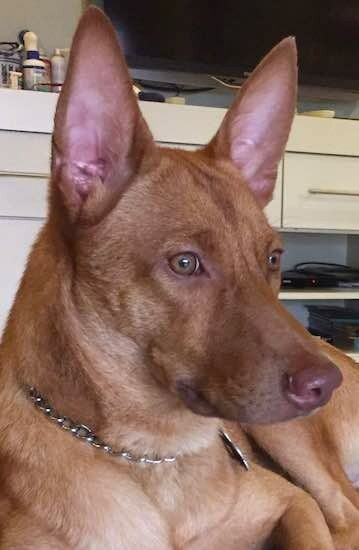 "This is Anubis at 2 years old from Malaysia. 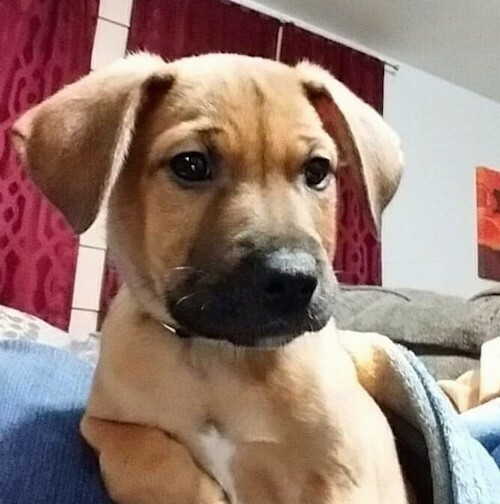 We adopted him and albeit a mixed breed, we believe he is more an Egyptian Hound." "This is Dexter. 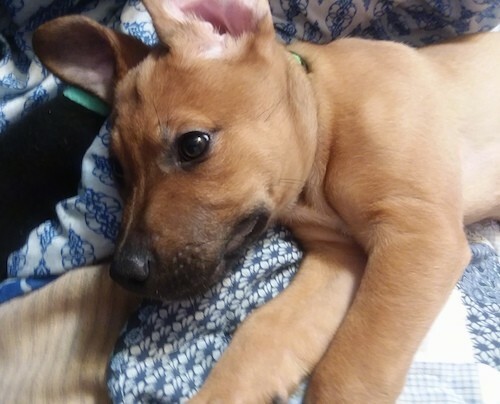 He is almost 3 months old in this picture. 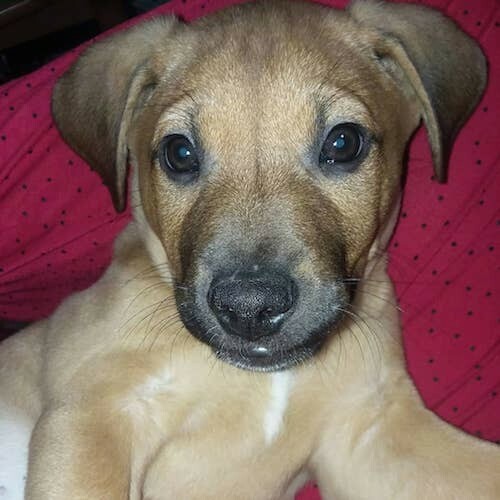 His mother was a full blooded Pit and his father was a Lab/Collie mix. 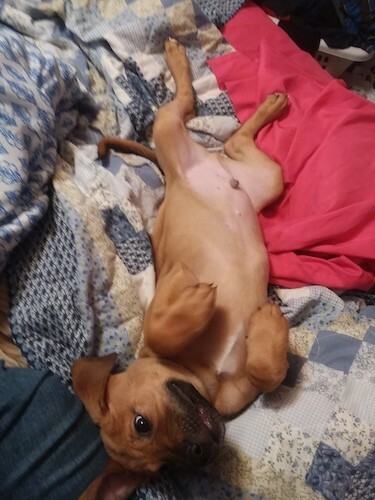 He takes after his mother with the mainly red coloring, but he does have a bit of white on his chest and black on his tail which comes from his father."